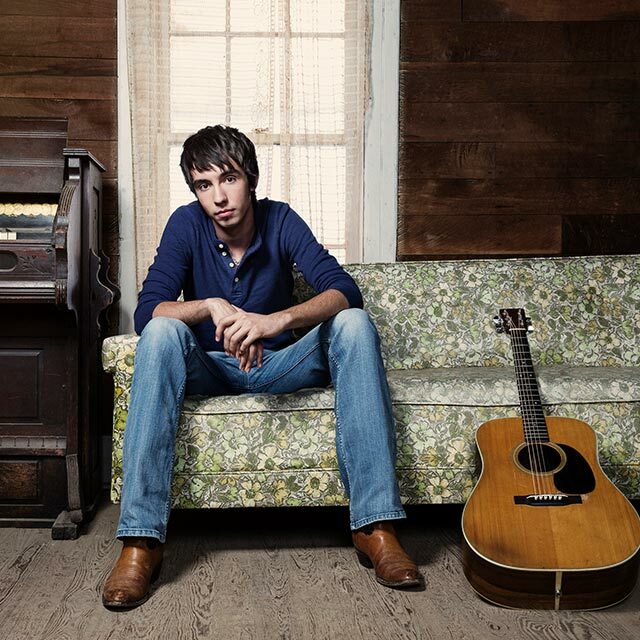 Interview: Talking to Mo Pitney about C2C, Behind This Guitar and more. 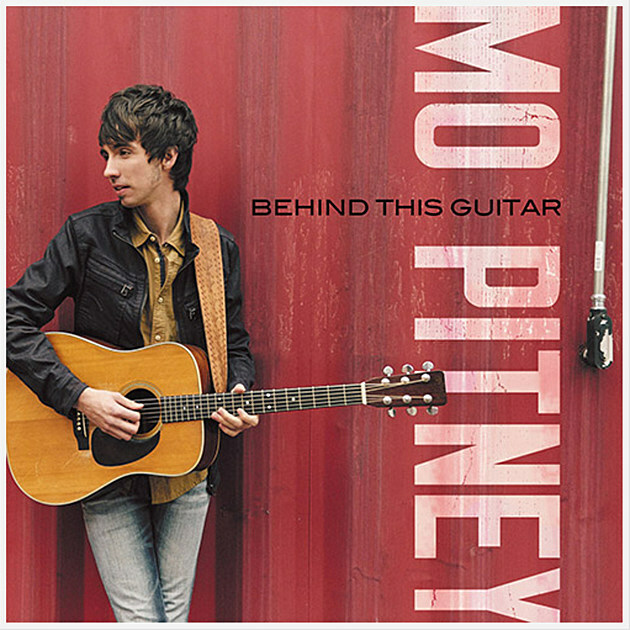 Mo Pitney has quickly become one of my favourite artists of 2018. Having heard of him for a number of years, I had not actually taken the time to listen to his music and for that I am ashamed because his music is truly inspiring and refreshing. Mo’s album Behind This Guitar is one of the best albums that I have heard in a long time and holds a very traditional sound much like you would find in artists such as Josh Turner but not in similar artist way, just in the sense of bridging the gap between traditional and modern. 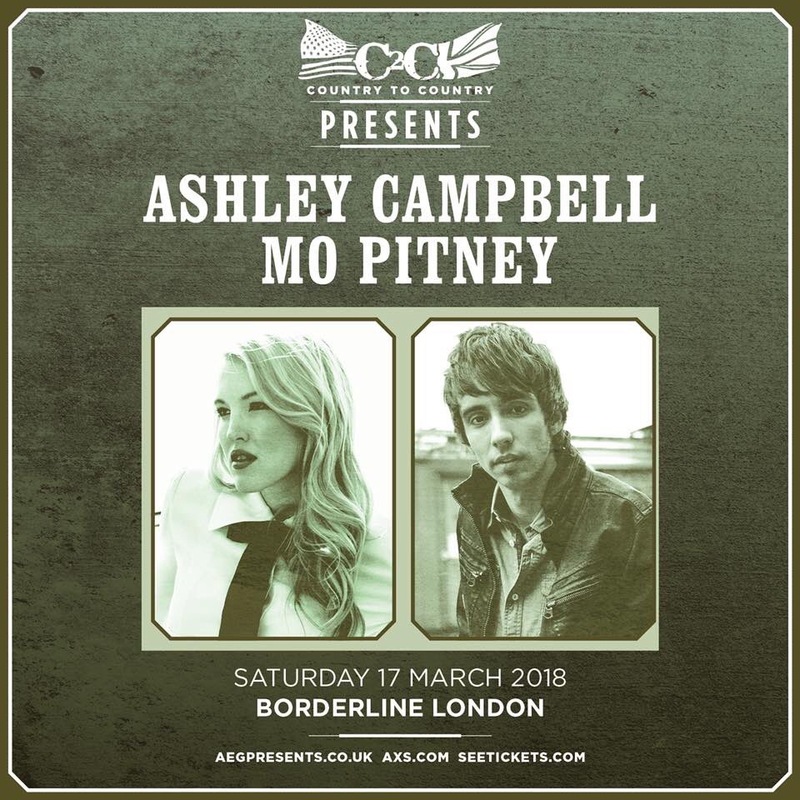 Mo visited the UK last year for a brief tour and created such a buzz that he was invited back to be part of C2C Festival. Hi Mo, how are you? How has your week been – what have you been up to? I am great; I am doing a little bit of woodwork, working on a chair. We have also been looking at some properties in the area and have put in an offer on a house – and have also been doing some songwriting; it has been a good week! Good. Your daughter also recently turned one, too, so you have been very busy. She did – in January. Has fatherhood changed you as a songwriter? Well, you definitely feel different things; different love and different fears – things you aspire to be and to work on – and they can show up in your songs. I did write a song for her called Evelyne Nadine which is a positive songwriting thing that came from having a daughter. It’s so exciting being a dad and it has changed my songwriting a little bit – for the better, I believe. 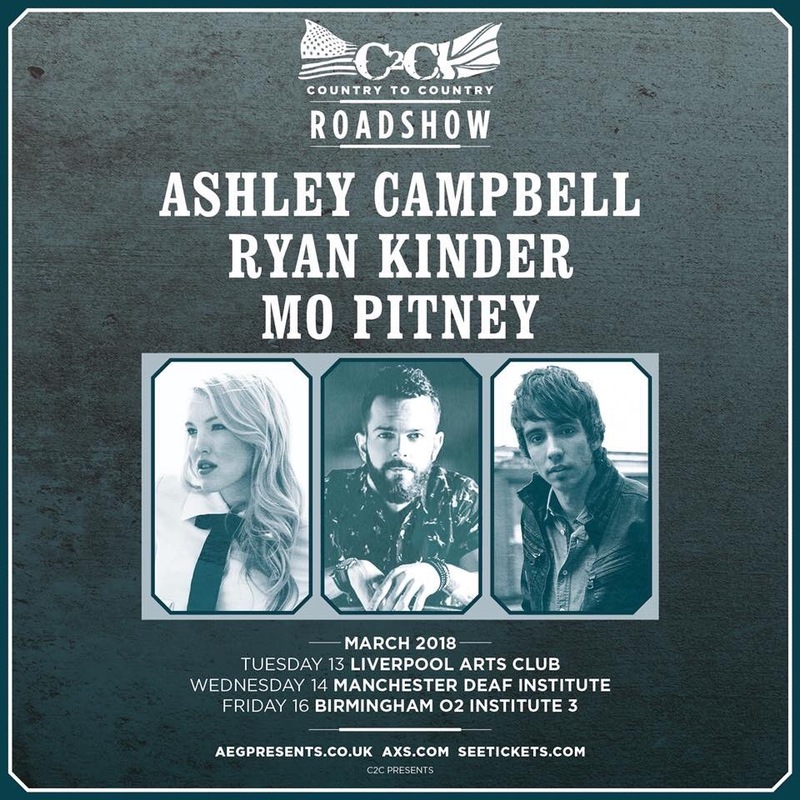 You will be returning to the UK in March to be a part of C2C, which we cannot wait for. What made you decide to come this year? They called and asked us to come after our last trip. We had such a good time last year, so when they called it was a no brainer for us. How was the last trip? How was the crowd? Was it what you expected? It was great, more so than I expected. There is a singer/songwriter loving audience over here in the US but the way I have described it most since I have come back is that it is a lot bigger in the UK. There are more people who love the songwriting community and the traditions of Country music and where it came from – and why it is what it is. That’s the world I live in and the music I aspire to write, so I think that connection with the audience is a given and I didn’t even know it, because I didn’t know what to expect. When we were over there it blew us away -the way we were received and treated and the good time that I had with every audience that we were in front of. You will be playing the Bluebird sessions with Jillian Jacqueline and Ryan Hurd, which is exciting – what can we expect from the show and are you a fan or friends of Jillian and Ryan? No, we don’t know each other closely at all, so I am excited to get to know each other over the microphone. I am so excited for the setting – the Bluebird setting is something that I love to do here in Nashville and to see it recreated overseas is very interesting. I want to talk about your song Country, as it has such great lyrics. It’s funny because the line “would you drive across the country, just to listen to some Country” is C2C Festival goers right there, because YES, we would – and we do. We go the the US, and the US comes to us and you have flown across the country and will be again just to play some Country, which we are so grateful for. It should be the theme song for C2C! Yeah, you’re right; can’t wait to play it there. The end of the video, is that you walking onto the Opry stage? It is, yeah- it’s not the actual stage but it’s a stage really close to there and the idea was to mimic the Opry stage, so I am glad it worked out that way. Speaking of which, tell us about THAT Opry performance. The very first one was the most special and the one that took me back the farthest. I have always wanted to be in Nashville and play my music and share it. I never assumed I could play the Opry, so I never really had a big dream to play it as I thought it was just so far out of reach. Being able to find myself on that stage and play a song that I had written was really amazing. I walked out on the stage and sang my song Clean Up On Aisle Five and I kind of thought halfway through that no one was listening and that they didn’t understand the lyrics, because it is a little bit of a different song. It was so quiet when I finished the song, everybody stayed silent and I got a little nervous wondering if anyone was even going to clap – and then the place kind of erupted and everybody stood up on their feet; I got a standing ovation. At that point I got very emotional. I think everybody wants to go well anytime they play the Opry, but to have your first time go so well and to be able to look back for the rest of your life and have that memory, I know will always be very special. Speaking of the song Clean Up On Aisle Five – it is a heartbreakingly relatable song because it is just so realistic. I think everyone who has ever had a break up dreads bumping into the ex and I think, no matter how much times passes, how happy you are in your life, that first heartache will hit you like a ton of bricks in that one moment – and your lyrics capture it perfectly. How was it to write the song? I think that the setting is kind of an awkward place to write about, in a grocery store, so we were hesitant to write about it. It is a peculiar title and a peculiar idea, but running into somebody that you used to be in love with in the grocery store is not out of the question, so we had to figure out a way to marry those awkwardnesses together. As far as writing the song goes and making it sound actually realistic, Wil Nance did a lot of the driving in that – he had the idea about Clean Up On Aisle Five. We just hammered away at it, and it fell out pretty naturally, once it got a direction. The original idea and inspiration came from Wil; he had that idea in his back pocket when we came to write that day and I am glad he did. I really enjoyed the video and one thing I have noticed is that there is a dog popping up in most of your videos. Is it yours? Haha, you’re very observant. Her name is Duchess. At first, we didn’t think we were going to do this, but we put her in the Country music video and then she ended up by accident in the Boy and A Girl Thing video. When the editor on was working on the television which is in the background of A Boy and A Girl Thing, he actually had the music video of Country on the television, and so Duchess showed up on the television in the A Boy and A Girl Thing video. So we said, ‘Well, now we have to keep this thing going, she needs to be in every music video.’ So, she showed up in Clean Up On Aisle Five and she also showed up in Everywhere. You’re the first person to notice it and actually tell me about it; I am glad you noticed. Oh, that is so cool! Speaking of dogs, another song that made me cry was It’s Just A Dog, Right? Tell me about this song – is it a true story? I tell people the dog in that song is a mutt and what I mean by that is I wrote that song with two other friends and both of them wrote about their dog experience like I did. So, it is a true story for three people and all three of those stories made it into the same song. Have you met Merle Haggard, as the song title suggests? Yeah, that song is entirely true. A buddy called and said ‘Hey, Merle is filming at North Star Studios if you wanna come down’ so I wiped the concrete off my face, went through the back door and shook Merle’s hand. All he said was “Pleasure to meet you Mo” and he walked off to the stage – and I wrote a song about it, ha! Again, it’s another relatable song to Country fans, as we all have had those moments meeting an artist we love. I get a lot of albums to review, as I am sure you can imagine, and it got to the point recently where I was a bit lost for inspiration, for something exciting to say. But as soon as I heard Behind This Guitar, I was inspired. This hasn’t happened to me in months, so I am so grateful for your album. Wow! Well, that causes me to be extremely grateful, because it inspires me to make more music. Sometimes, I can get to the point where I don’t even like what I do, you know? You can get to a point where you don’t like the music around you, but you can also get down and discouraged about the music that you’re making, but to know that it is positively impacting someone else and might turn their heart on and cause it to bubble up with delight, that is very special for me to hear. The album has a wonderful traditional hold to it. Do you think the traditional sound of Country music is making a comeback, especially with traditional infused artists such as Brandy Clark, Ashley McBryde, Kacey and Midland? Well, I hope so – because there are a lot of artists who like to hold on to that traditional sound and I’d hate to see them not have a place at the dance because they’re just trying to be who they are. I hope there is enough room for both the pop and traditional sounds. Sadly, Country radio has become far too modern, because when I first visited Nashville, which was only in 2010, you would hear Josh Turner almost every other song – but now, not so much. As you said, it would be nice to have room for both. I love both; I want to hear what they are playing but also more traditional artists like yourself and Josh Turner – and more females too. What do you look for in music you love, what attracts you to an artist first? Authenticity. People do try to corner me just because I sound a little more traditional myself and they think I only listen to traditional myself, but I don’t. I listen to pop, I listen to singer/songwriter Christian music, old Rich Mullins, Keith Green, James Taylor, Carole King, Adele. I just want to hear someone do what comes natural to them, I want it to be an outpouring of who they are. If somebody didn’t grow up listening to Hank Williams and Merle Haggard and it’s not in their blood, then I don’t want them to pretend to be that. I am really drawn to an honest artist in whatever form that takes. I pull from those influences. When I interpret my hurt or my joy in my songs, it is just going to come out in a simpler, probably more traditional sounding way. Yeah, we actually picked out twenty of my own songs that are kind of my favourites that I have ever written which have not been recorded yet. I also picked out six or seven songs that other people have written which have been pitched to me, and we are putting them all together and hopefully we can find an album from it. We are going to start doing some recording in maybe the next month or two, I hope. I am so excited for C2C and cannot wait to see you. You’re welcome, and thank you for your time.